Rent regulated apartment owners are planning to school lawmakers on the issues they face trying to keep their books in the black as the city faces a fresh effort to overhaul the program. The Community Housing Improvement Program, an organization of owners and managers of more than a third of rent-regulated units in the city, said they have serious concerns about the new proposals outlined last week by Governor Andrew Cuomo. “New York City’s affordable housing crisis must be tackled, but small property owners should not be scapegoated,” said Jay Martin, CHIP’s executive director. Martin added that they will continue meeting lawmakers to educate them about the reality landlords face in the city. 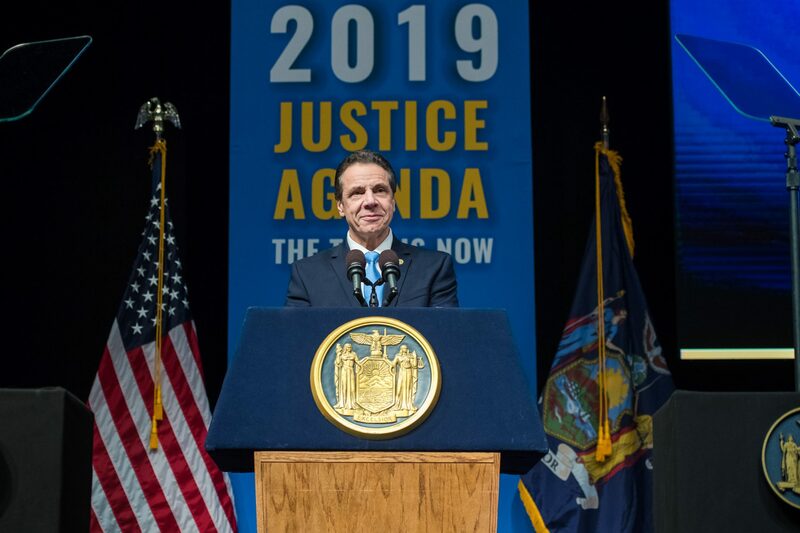 In his State of the State last week, Governor Cuomo said it was time to get serious about rent reform, including removing vacancy decontrol and preferential rent limits and strengthening tenant protection. “This year, we have the opportunity to finally reform the rent regulation program including eliminating vacancy decontrol, ending preferential rent limits, limiting building and apartment improvement charges and strengthening the tenant protection unit so we actually enforce those laws,” Cuomo said. In New York City and beyond, landlords can sometimes employ vacancy decontrol to remove the rent-stabilized designation of an apartment. Landlords have the ability to increase rents whenever a tenant is replaced and if the increased rent surpasses the current threshold of $2,774, the unit is considered deregulated. In other cases, landlords employ the use of preferential rent, where they offer new tenants a rent that is lower than the legal regulated rent they are allowed to charge. But, when there’s a new lease, the landlord can charge a much higher rent hike because they don’t need to follow the specified maximum amount a rent-stabilized unit can be raised, which is set by the Rent Guidelines Board. Landlords can also increase the rent for rent-stabilized units based on the amount of money spent on building-wide improvements. With all these tools for landlords, many politicians and housing advocates argue that rent-stabilized tenants are left vulnerable. Bianca MacPherson, a paralegal with Community Development Project, said that they often represent tenant associations that have to deal with negligent landlords. She explained that many landlords forgo routine maintenance for years, forcing tenants to face leaks, mold, broken elevators, faulty electrical systems, poor heat and more, until they need to completely replace the component. By skipping out on maintenance to force a bigger repair job, landlords can employ major capital improvement rental increases, MacPherson added, which is why they want to see building and apartment improvement charges completely removed. Alongside Cuomo, many Democratic senators have been pushing for similar rent reforms for years and expect a big change when the rent laws expire in June 2019. Photo courtesy of Governor’s Office.